One of the driving themes behind TEDxSydney 2016 is ‘together’ – and this is reflected not just in the collaborative nature of many of the ideas presented on stage, but also directly in the way that the TEDxSydney community shares the event day experience at hundreds of venues across Australia – from our main event at Sydney Opera House through our ever-growing Satellite network. And of course, one of the favourite ways that we come together in our daily lives is across the food table – whether that’s the family table at home, the kitchen bench at work or standing together with friends having a quick bite at a food truck. For this year’s TEDxSydney, we are encouraging not only the sharing of food, but also the sharing of the stories behind the food. We’re putting the call out to you and all other members of the TEDxSydney community to share your favourite family or community recipes – the best of which will be celebrated and shared at TEDxSydney 2016. Think – your Nonnas passata recipe, Great Aunty Mim’s pea and ham soup – anything that has been passed down in your family, evokes the warm and fuzzier, and comes with a story to that connects us to our varied and diverse heritages but also to eachother. Chef Sarah Jewell from Aria Catering will test the best recipes and choose her favourites to be served at the main event, and we’ll be publishing those recipes and stories in full – so you can either share plates at a Satellite event, or simply munch contentedly while you watch the live stream. If your recipe turns into one of our favourites, we’ll invite you along to a VIP menu tasting (to make sure the Chefs get it right!) as well as invite you to share the story of your recipe on the day. 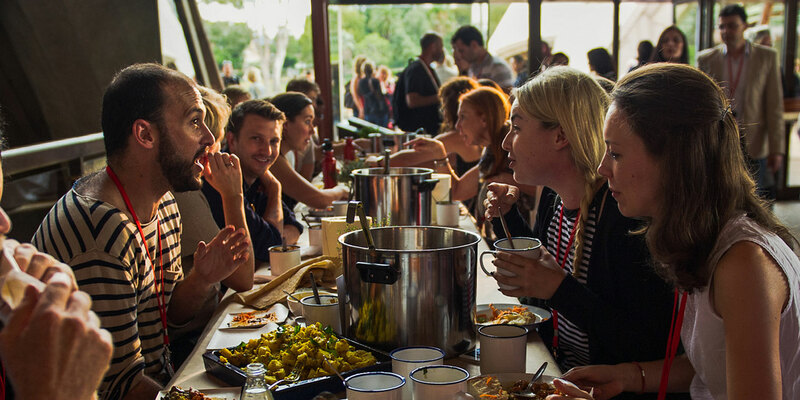 Share your favourite recipe via email to food@tedxsydney.com, or post on Facebook and tag our Page – facebook.com/tedxsydney. Quick sticks though! Entries close Monday 2 May 2016. We’re also delighted to announce that we’re teaming up with the Country Women’s Association of Australia to help us serve up tip-top-tasty and lip-smackingly awesome treats for TEDxSydney 2016 – and to spread the word on some of their best-kept-secrets for you to bake-along-at-home. More details to be announced in the lead up to TEDxSydney 2016.